One big goal of the Bay Spring Community Center’s Three-year Strategic Plan, was to attract and involve school-aged kids in the programming and affairs of the Center. In the past year, through the efforts of a number of our Board members, we’ve connected with a large number of high school and middle school students, and we’ve benefited from their wealth of energy and enthusiasm. 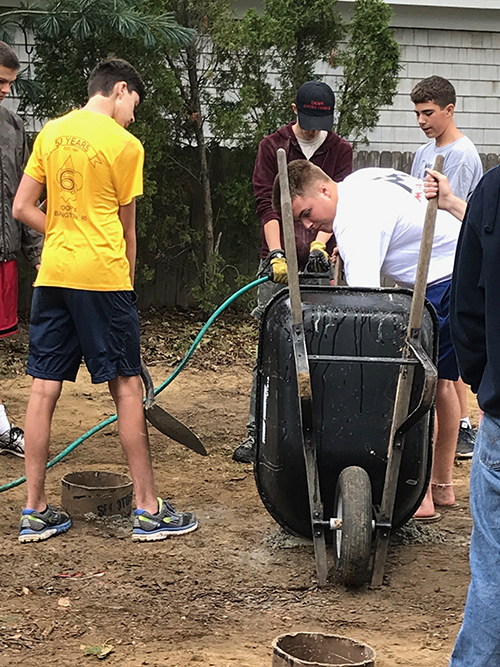 Maria Portugali organized students to help with landscaping outside the Center and with woodworking and painting, inside the Center, as well as support for our past Luminaries “Light Up the Night Barrington” fundraisers. Last year, student liaison Toby Rein was instrumental in organizing students to help with the construction of the outdoor performance venue. 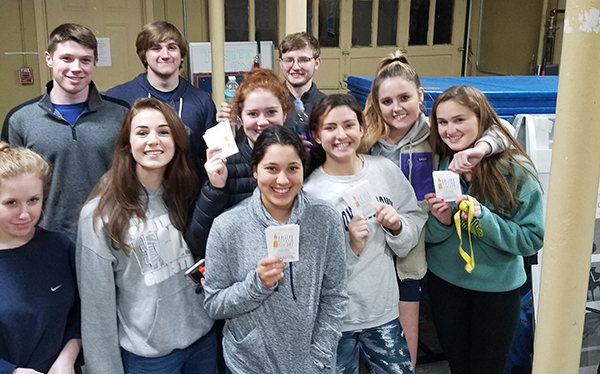 Earlier this year, Danny Penengo enlisted a group of St. Andrew’s students to help mail hundreds of membership letters to current and prospective members. 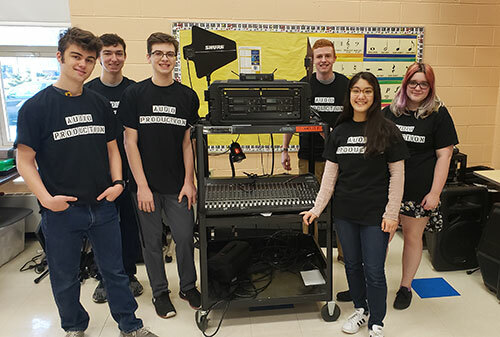 Jennifer Bergevine connected us with Nahum Mitnik, a BHS teacher who has a class of students that study audio engineering and lighting. Since then Nahum has brought in his team to run all aspects of sound and lighting for a number of BSCC events, including our Local Brew Coffeehouse and most recently the Middle School Open Mic Night. 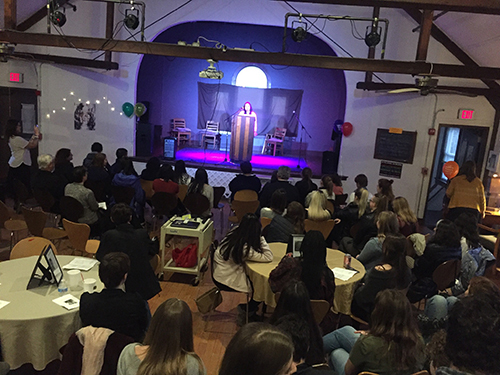 The tremendous Open Mic Night was produced by board member Katherine Quinn, and it showcased the amazing talents of our community’s middle schoolers. And most recently, Jennifer Bergivine produced the second annual Women’s History Mixed Media Feminist Showcase with artwork and music supplied by members of her BHS Gender Equality Club. In all honesty, the goal of the Three-year Strategic Plan was to create ways for school-aged students to benefit from programming at the Center, but in reality, it is the Community Center and the community as a whole who are the real beneficiaries of all of the incredible student involvement.